Skiploader’s first big league production finds them progressing nicely in the fashion they demonstrated on their 1994 Schizophonic release Sprainy. Justifiably so. Tony Lash repeats as their producer and engineer— coaxing a thick, symphonic sound from the moaning guitars of Kevin Higgins and vocalist Tom Ackerman; and the rhythm section of drummer Jeff Turner and bassist Craig Koozer. Whereas the original is more jagged and agitated, in comparison the remake is slightly laid-back. A chiming guitar, washed in vibrato, replaces the meltdown tone of the incipient version. But the impact of the words: “I guess I’ve stripped these threads out, set it all on blocks/ Haste, my shiny friend— watch out the wiring is shot/ I’m not the one that needs repair and I’m not the one that needs you/ What are you waiting for?/ Sometimes things they don’t work out, especially if they’re supposed to,” is more direct for the change. “Unlearn” is a grand example of the direction the band has taken in the days since signing the big contract. Simmering intensely, the guitars move in tandem, as Kooozer and Turner inexorably drive the song to a boil. It’s a tough, precise track that drips with brains and emotion. A memorable chorus propels “King Regret,” as Higgins’ guitar twists through the riffs like a sonic skewer. The band articulate clever dynamic devices with keen decisiveness, deftly punctuating their message without hammering it into submission. A sure indication of their devotion to the craft of creating music. “Synonym” exhibits a similar grandeur— majestic guitars meld into a dense mass, as hard and sharp as tempered steel, while Ackerman delivers his selfless, introspective lyrics with equal degrees of cynicism and sincerity. Turner nails down all the corners with riveting snare attacks. Turning on an unique chord invention and Turner’s thundering toms, “Psammite” could nearly be the work of some new Police for the 90s. And who is to say? 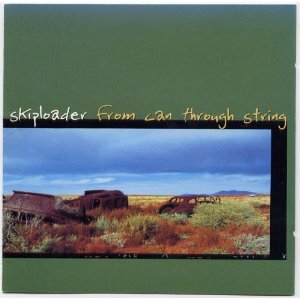 There is something special in this work that separates Skiploader from its stylistic rivals, something tangibly intelligent, palpably cogent about their perspective; combining the best elements of bands such as Afghan Whigs and Smashing Pumpkins, while retaining their own powerful voice.re-tooled pecially if they’re supposed to. “Entropy Anthem” proposes a novel philosophy: “leave it broken.” “The beauty is in all the flaws, bad hair, soft shape.” Chunky guitars accent the sentiment, blurting like gunfire across the sonic atmosphere. The remake of “Hubris” is more orchestrated, from a guitar standpoint. Instead of driving straight ahead, Higgins varies his technique, adding dimension and color to the arrangement. The new rendition of “Another Billy” similarily displays the band’s propensity for dynamicism— thus allowing themselves the space in which to express their abundantly thoughtful and sensitive lyrical ideas. “2-17-95” artfully demonstrates all of these attributes. The intricate fusion of the two guitars is buffeted by Koozer’s fat bassline and Turner’s indefatigable sense of time. It’s difficult to know, when a young band signs with a major label, if the label will truly get behind the band’s recording. For this is world class stuff, full of fire and feeling. There are enough outstanding cuts here to keep this recording in the rotation for a long time. Will Skiploader get the push they deserve? That much is anyone’s guess. It’s not much of a mental leap to imagine Brad Wood as having a role in this recording. Wood’s proclivity for making the most of Liz Phair’s minimalist musings, would seem well suited to Rebecca Gates’ prosaic penchant for subdued brooding and meditative agenbite of inwit. The result is not unlike one of Phair’s works: full of stark imagery and sparse poignancy, songs sung in a low tuneless voice, prounouncing in solemn tones the bleak landscapes of existense. Rebecca thrives on dissonance. At times it appears that her aim is to extract all melody from her songs, as a weaver might extract color from skeins of yarn. They become neutral expositions, variations on gray. It is from within this cloudy medium she knits. Songs such as “Madding” and “Luminous” hang like columns of smoke in the breeze, barely held together by their rhythmic centrifugy. Plouf’s metronomic precision provides the ticking timepiece in “Lines And Lines.” Oftentimes it seems that Rebecca merely uses Plouf as a human drum machine, over which she will phrase the same essential melody. It is only her different approaches on the guitar and Scott’s clever drum parts that alters the mood,,bleatings of a classic rock drummerading of a will sound danceable and exciting.weaves her shadowy musical tapestries Songs such as “Madding”and “Watch Down” . There are a few exceptions. “Valency” sounds a bit like Phair’s “Supernova” and the Breeders’ “Divine Hammer,” buoyantly buffeted like a toy boat upon a windblown pond. “Oceanwide” is initially very similar, but for Rebecca’s tiny guitar riff; though the song resolves in a more adventurous fashion, decorated by a plaintive piano filigree. Likewise, “Winter On Ice” benefites from delicate touches of mellotron betweeen the jangling guitar chords and the mechanical drum beat, and a sincere attempt at a chorus. Distracting background yakking and slightly askew piano lend a decidedly amateurish effect to an otherwise noteworthy performance on “For No One Else.” Those familiar with Phair’s “6”1″” and the Beach Boys’ “Barbara Ann” will hear likenesses to both here. The Spinanes get a lot of milage out of the duo format. Rebecca Gates is inventive as a guitarist, if repetitious and sometimes dull as a vocalist. Scott Plouf is never boring and always vibrant, the heartbeat of the band. While the subtle variety of production textures and contrasts helps to disguise the fact that many songs are melodically identical, there is still an engaging quality to the mixture, all the same. 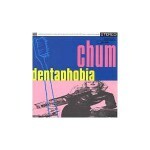 An adventuresome lot are Chum, with enough chops and stylistic voogum to keep the procedings interesting. They play speed metal, essentially, with occasional brief forays into jazz, country, folk, funk, glamrock and whatever else there is, while delivering forth on topics as biologically wide ranging as ant societies, masturbation, fear of dentists, meat-eating and drug usage— maintaining a Zappa-like sense of humor about the whole mess. Interesting, to say the least. Equally captivating is their masterful utilization of sound bites, an array of which they employ to marvelous effect. Investigating the lifestyle of the carbonated, “Building Pyramids” cooly maps out cola addiction, while the guitar fusilade charges onward. “Crop Duster” vassilates between the gothic flavored choruses and the jack-booted two step of the verses, while carrying out a murky analogy. “Geek” could be an excerpt from some strange way off-broadway musical— as a discorporated voice floats above a singular acoustic guitar: “If you knew/ Or had a clue/ A geek like me/ Could fall for you.”that ” Three guitars roar and twivocal ling sublime/I’m smelling sick/ A” vassilates between, before slipping into disaster Oh yeah. What sounds like a discourse on the torture of dental braces (“parental gift, enforced face lift”) “16” seems to be making a statement about cosmetic surgery as well, within its doomy musical context. One of the three guitarists among Paul Brainard, Tom Lawler and Pat DeMartino cuts loose with an absolutely searing solo near the end of the track. A harrowing industrial arrangement lends itself to the subject of “Meat.” Wailing animals and guitars form the framework of the song, as hypnotic vocals carry the message. Again, a sterling guitar solo brings the tune to a finish. Chum offer tough stuff delivered in a tough manner, but with a snotty sense of humor that makes the procedings seem more engaging. This softens the fact that the music and the message are often a bit of a challenge to the average brain-dead consumer. Still, lovers of intelligent, metal flavored rock should rally enjoy this venture. Oswald Five-O show a lot of improvement in the two and a half years since their last release, For Losers Only. On that recording, the songs seemed to be distinctly in the style of the vocalist— either guitarist Nick Tucker or bassist Diane Beck. Here the two sound more integrated into one, cohesive band, and a pretty good band at that. Check out the fast paced edge to “Lost And Found,” “Switchblade” and “My Novel.” Tucker handles the lead vocal duties on the former and Beck on the latter two, but their vocal blend makes that sometimes difficult to ascertain. Diane handles the vocal duties on the strange tale of “All Night Takeout,” a story perhaps all too common these days. For Losers Only was graced by several waltz tempo ballads which Diane sang. “Waiting For Vengeance” is the only slow tune she contributes among the eleven offered this time out. And though it is not a waltz, it certainly bears the mark of her sure melodic sense. Her winsome voice is perfectly suited for such exercises and this beautiful song is one of the picks of the set. 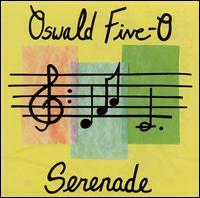 in Oswald Five- O. 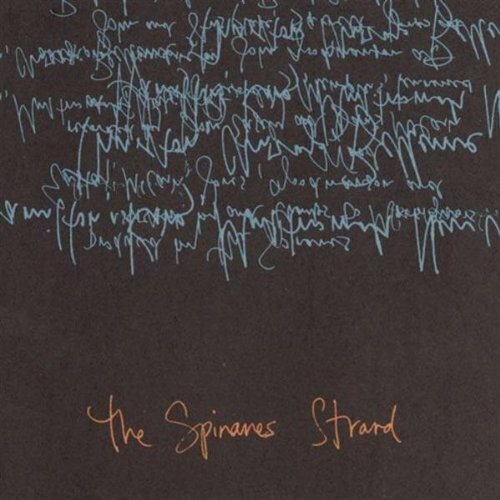 He does not waste sonic space, but contributes integral musical statements. Though I, for one, am a big fan of Diane’s ballads, it is irrefutable that Oswald Five- O have paid their dues as a band. It is clearly evident on Serenade that they have spent the necessary hours required to become a true musical entity. 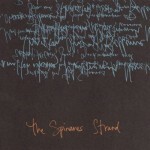 Their music is heartfelt and engaging; and obviously the work of three smart individuals. Hadland’s voice is sometimes comparable to that of Yes’ Jon Anderson or Geddy Lee of Rush and his productions fit neatly into the Oasis/ Beatles realm. Check out the free flowing ballads “You” and “Mr. James Tate” for any other references along those lines. David’s tasty slide guitar solo only deepens the impression on the former, and megaphone vocals solidify the notion onthe latter. “Expectations” churns effusively beneath David’s jangling acoustic guitar and soaring e-bow work, frothing to a dramatic finale. “1,000 Ways” follows a similar course.”Little Green Men” rocks hard, recalling the better days of Dramarama, with a wry outlook and a tough presentation. Accompanied by a singular acoustic guitar, Hadland exposes his most sensitive natures on “Hey, Stranger.” Some may scoff at his obvious softness, but none can deny his obvious musical talent. 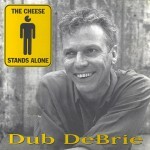 Dub DeBrie is one of only a handful of singer/songwriters in this town who actually make a living at playing music. The ten songs presented here are a very precise indication of just how it’s done. Every track drips with a technique that comes only from inestimable long nights spent plying a trade to the largely disinterested listening public. For Dub knows how to capture your ear with a clever turn. For this outing he has enlisted the aid of a crack crew of session men, including drummer Carlton Jackson, bassist Phil Baker, guitarist Dan Faehnle and keyboardist Darrin Clendenen. Take, for instance, the first cut, “The Mambo Kings Play Songs Of Love.” DeBrie navigates the verses in a familiarly rough and weary voice before dipping down low in an unusual fashion. Strong and seamless harmonies mark the simple, Western flavored ballad “Strong In My Heart.” A stirring duet between violin and cello provide a profound effect during their brief appearance. But the hit here is the John Stewart tinted spaghetti western “The Ballad Of Cowboy Rod.” Galloping acoustic guitars ride beneath a desert dry electric guitar. You can almost smell the creosote and sagebrush. A gospel feel invests “If I Needed Someone,” with a rich presence, Dub’s soulful baritone is the appropriate vehicle for such arrangements. “Light A Candle” recalls the better early work of Elton John: a sensitive and elegant piece. “Somebody Lift Me Up” combines elements of all the tunes that come before it, providing one last indication of the depths of DeBrie’s skill. One does not come by this level of musicianship casually. Years of toil and hardship are basic ingredients. 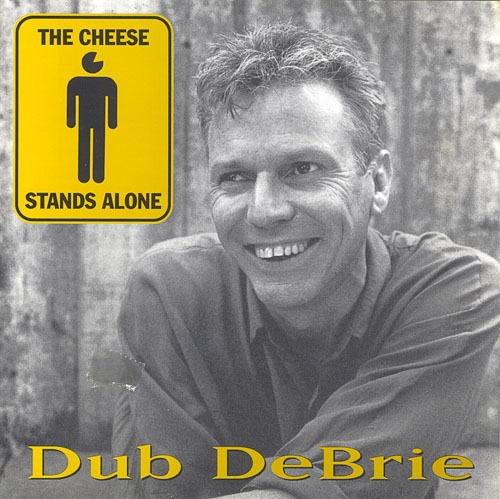 Dub DeBrie has achieved something special here. The cheese does, indeed, stand alone. Guitarist Mark Paul lends provocative seasoning to the odd “Bad JuJu” and country flavored spice to “Say My Name.”, Joan Meyer’s thumping bassline and Paul’s sizzling guitar solo drive “Yin.” “It’s A Pity” moves in a smoky, jazzy way, and features fine vocal harmonies. The one track that really works is “When You Say You Love Me,” which combines equal parts folk music and living room hootenanny to the best effect. Similarily, “Where Is My Lover” shares common qualities. But this music lacks energy and passion. Sweetness and light can be produced artificially. Without energy and passion there is nothing to distinguish this earnest band from thousands of others. 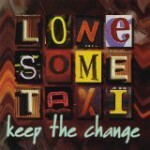 What Lonesome Taxi have going for them are an interesting vocal blend and a couple of good songs. They seem all too willing to settle for the same sound on each song, rendering each nearly faceless. To progress beyond this level, the band must commit themselves to the crafts of songwriting and performance; striving to give each song its own distinct life. As it is, there is little to distinguish Lonesome Taxi’s material. The execution is not bad, it is simply mundane. The band has strengths, but they must concentrate on them and not rely so much on convention and cliché. To do otherwise is to insure boredom.